Pra Somdej Paya Bparamadth (some people call 'Nang Paya') 2 sided Buddha Image Votive Tablet in gold and silver painted Prai Muan Sarn Sacred Powders from Luang Por Pina, of Wat Ta Geuy (later Wat Sanom Lao). 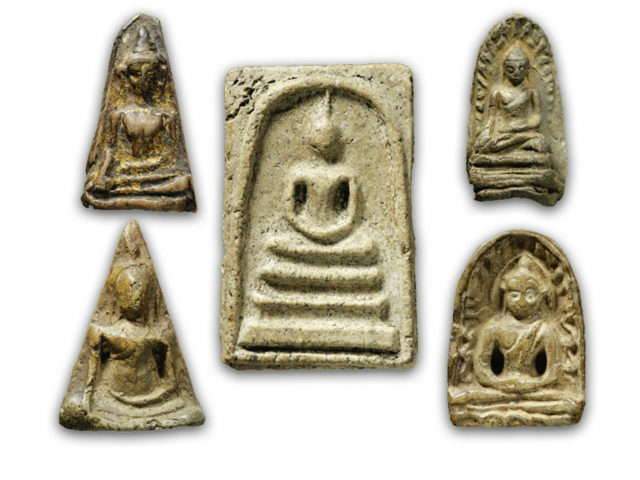 A very rare Miniature Sacred Clay Buddha Amulet with two images of the Buddha in different manifestations. 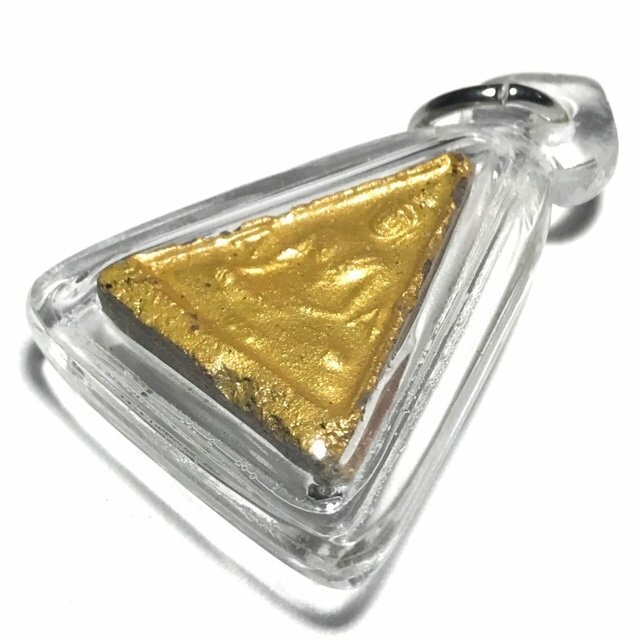 Luang Por Pina would recommend his devotees to wrap this amulet in a handkerchief (pure and clean) and carry it with you, to chase away black magick, fever and diseases, and keep illnesses away. 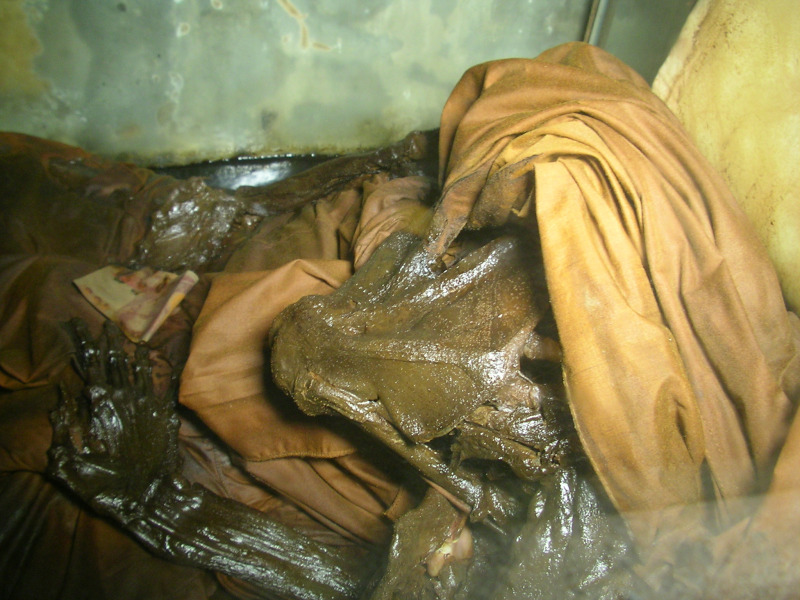 The Pra Somdej Paya Bparamadth was created in two sizes and in various kinds of Muan Sarn Sacred Powders. 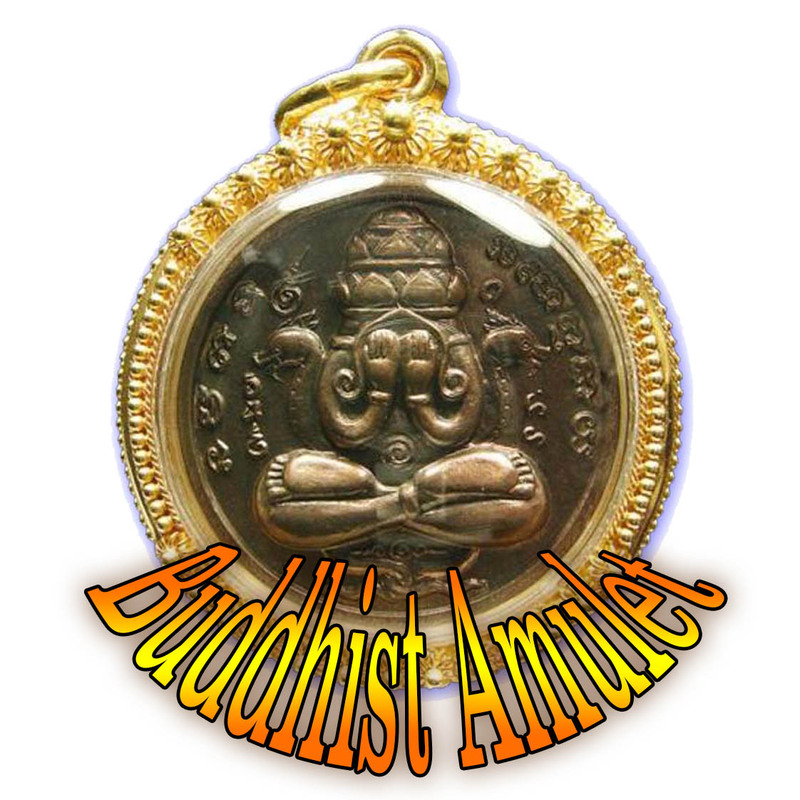 The Somdej Paya Bparamadth along with the famous Pra Pim Prasut amulets were released as part of the same series edition, but have different Buddha Images emblazoned on them and the Pra Paya Bpramadth are larger in size to the Pra Pim Prasut. The Pra Somdej Paya Bparamadth features two different Buddha images, one each side, and is known as the Pim A-A model. One side has the image of the Buddha in Mara Vichaya Posture (Subduing Mara), with the letter A either side of the Buddha. These amulets are highly regarded for their power to heal feverish illnesses and ward off black magick. 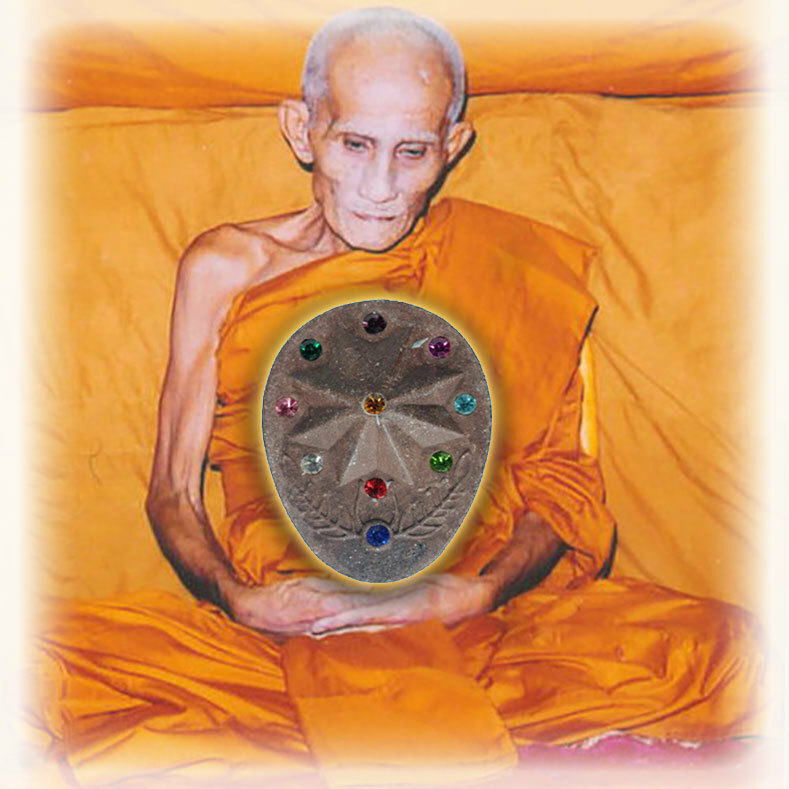 They are also full of Metta Mahaniyom, Maha Lap Klaew Klaad and Maha Pokasap Powers as well as the obvious Power of Serm Duang ability to improve fate and destiny. They are filled with Puttakun Blessings of the Buddha, and offer Protection and Prosperity. Made from extremely rich admixture of sacred and magical Muan Sarn powders. This amulet is one of those which were painted with silver and gold laquered surface on the Prai powder clay, others were given herbal laquer treatments such as red laquer and the like. This Model is a Double A-A Pim for being Gold and Silver instead of just one single colour. Some examples will have white mildew stains, and others may appear to have a herbal lacquer painted on to areas of the surface.The various surface effects are results of the Muan Sarn substances rising up from the inside to escape through the pores of the outer surface.